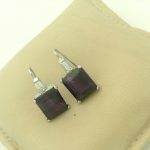 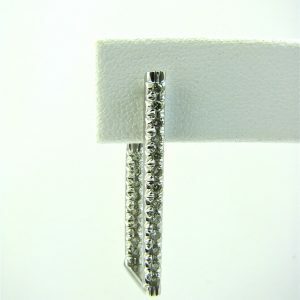 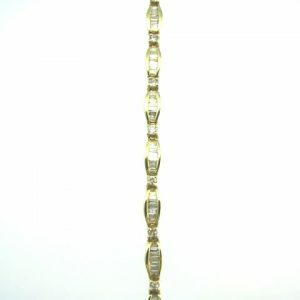 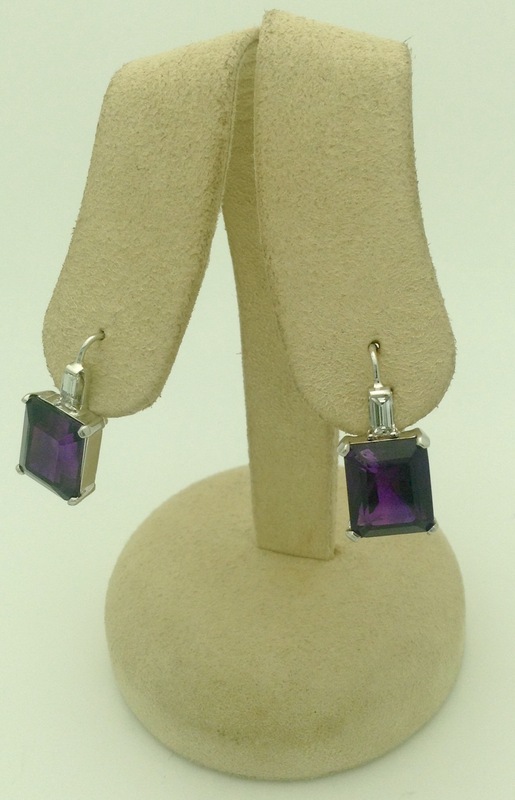 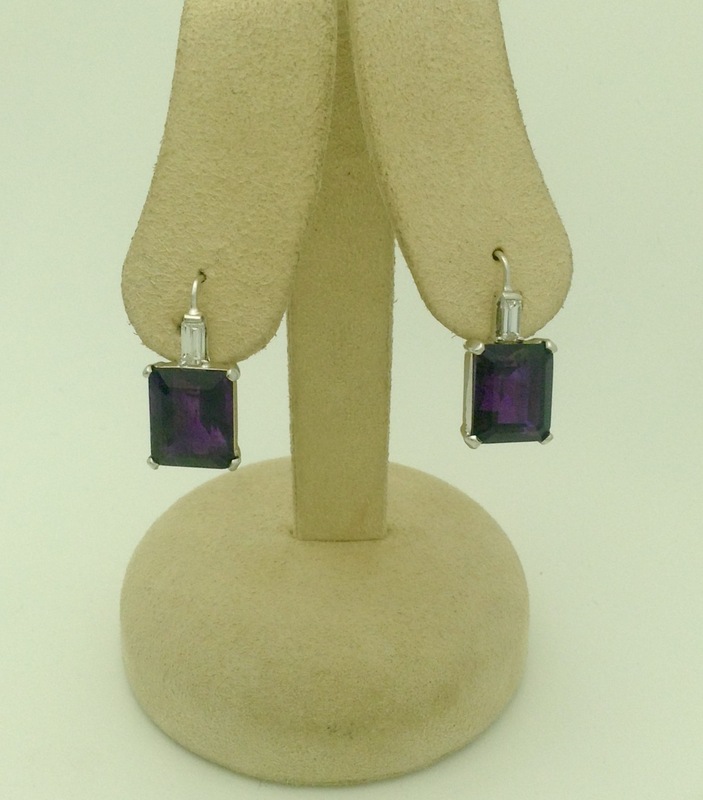 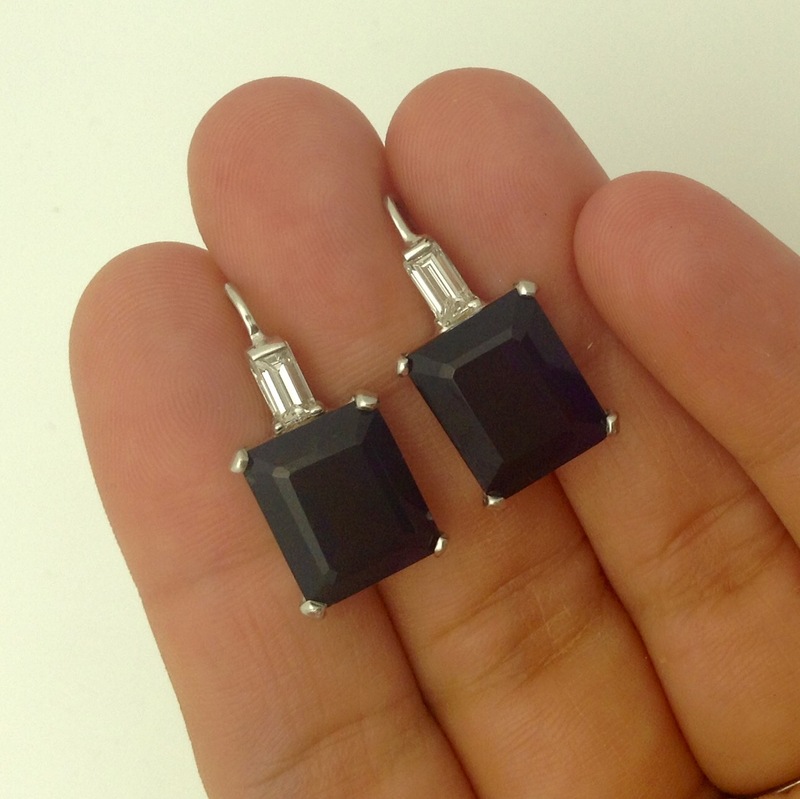 12.00 Ct Amethyst and 0.40 Ct Baguette Diamonds Set on 18k White Gold Short Drop Dangle Earrings. 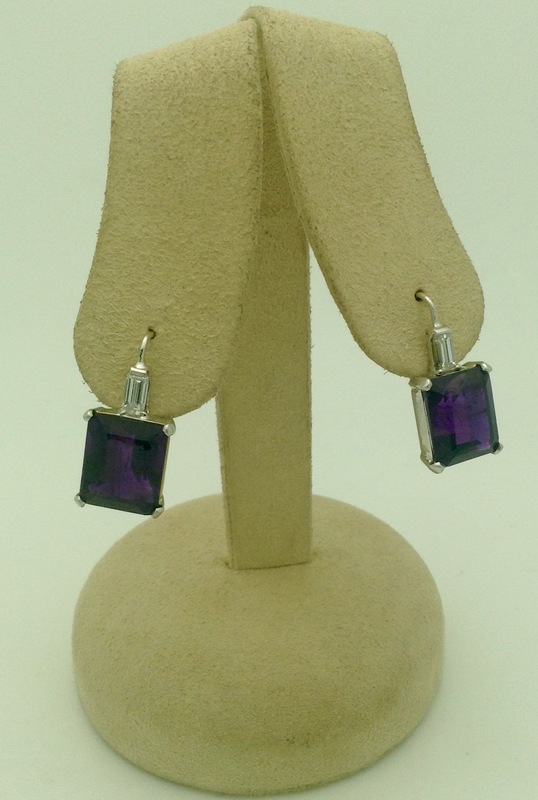 Very Impressive Piece, Great Color Saturation on the Amethyst. Natural AA Amethyst.